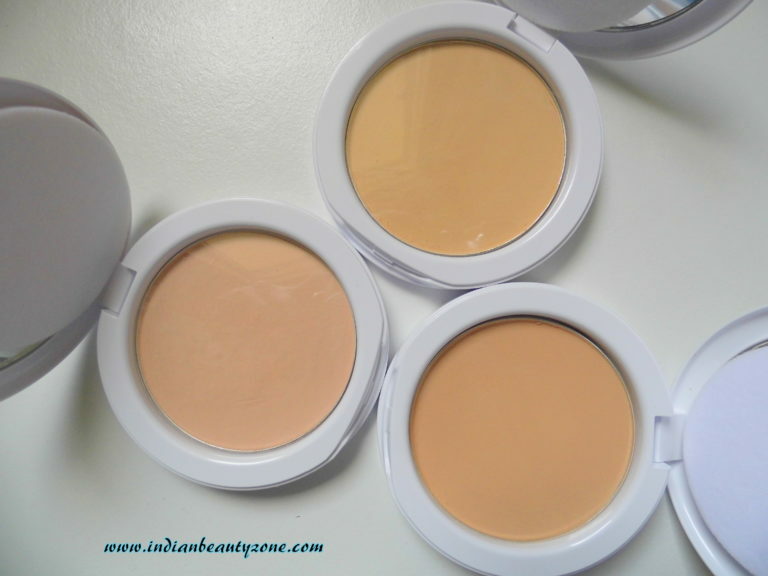 Women feel their complexion looks and feels best in the morning right after applying compact. However, as the day goes on, ordinary compacts may mix with sweat and oil. Making complexion look dark, dull and patchy, and feel cakey and dirty. Perlite: A pure mineral with skin perfecting powers. Visibly lightens complexion, when absorbing sweat and oil. 12HR Fair, Fresh and Perfect: Fair, Fresh and protected. Your complexion looks and feels perfect all day long. Even in hot humid weather. How to Use: Apply all over face and neck with the puff provided. Blend well around the eyes along the hairline and jawline, for a naturally perfect looking complexion. The compact case comes in a white cardboard box, the compact comes in a white round shape plastic box with a mirror and a powder puff which is handy to use anywhere. The powder and the puff separated by a thin layer like a cover, the powder puff is sturdy enough to apply powder easily. It is completely travel and user friendly. 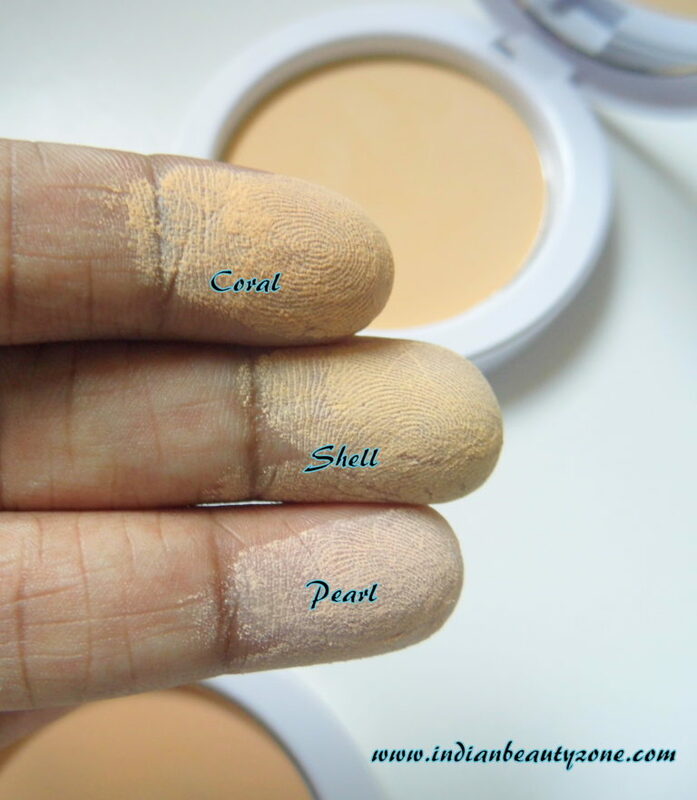 Shell is the medium shade in all three shades which is suitable for medium skin tones according to brand and it has slight yellow undertone to neutralize the warm complexion. According to me it will suit most of Indian skin tone that comes under fair to medium skin tone category. In my face Shell looked bit brighter than usual, but I can use this shade just under a moisturizer. Coral is the dark shade in all 3 shades and Pearl which is suitable for warm dusky skin girls. It will be suitable for medium to dusky girls. I found Coral shade is the best match for my medium skin tone which gives natural look. 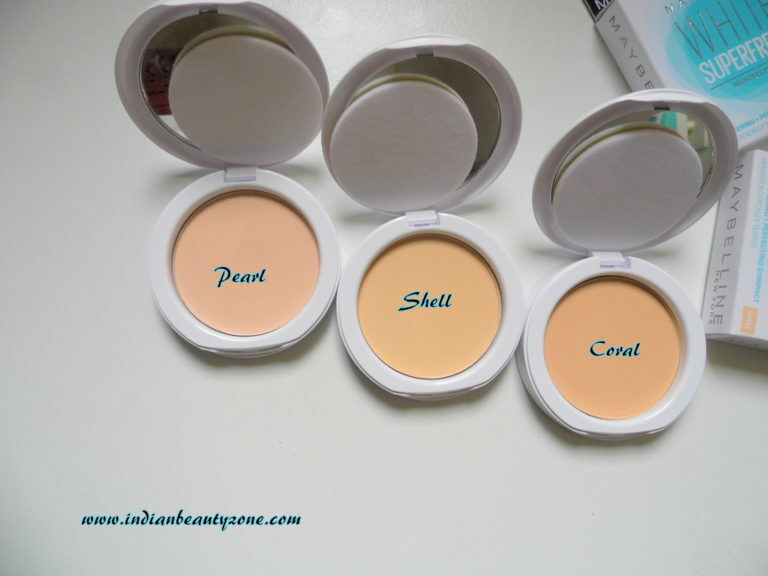 Pearl shade is the lightest shade in all three shades and it is suitable for Indian fair skin beauties, it has slight pink undertones which can neutralizes their cool skin tones well and can give perfect finish. It is suitable for fair and pale skin girls. 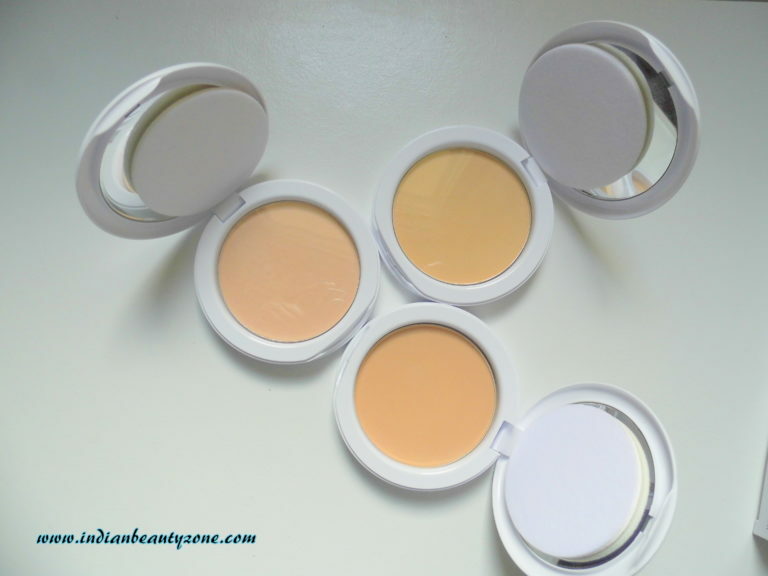 In all these 3 shades I found Coral looks perfect for my medium skin tone and yes I can use Shell shade also. It has a mild pleasant smell which makes refresh feel after applying. The texture is very fine milled powder like one which is smooth to blend easily. I have checked about the claim of Maybelline New York White Super Fresh 12HR Whitening+Perfecting for a whole day (day time). I applied the compact after applying my usual moisturizer to test its staying power. I have oily skin but now its monsoon and my skin became combination where my T-Zone looks shiny always. 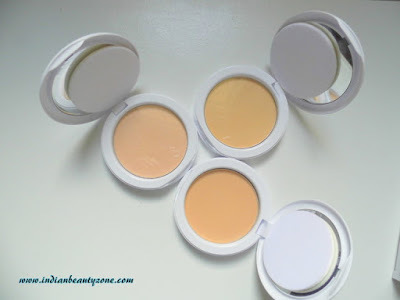 After applying this compact my face instantly looked fresh and bright which I liked the most. The compact is easy to blend and it doesn’t emphasize any dry area of the skin or pimples. It gives a smooth and even finish to the skin and makes it natural. It stayed for 6 hour without showing any T-Zone shining etc (because the weather is so cooperating). Later I saw slight shining in my T-Zone and need to touch up lightly. It absorbs oil very well and I didn’t have any sweat because here it is raining continuously and the weather is so gloomy. I felt my face stayed fresh all day long. It hides the light marks on my skin and makes to look it perfect. Here is my FOTD wearing Maybelline New York White Super Fresh 12HR Whitening+Perfecting Compact in Coral Shade, I have used Maybelline Lash Curl Mascara, Maybelline Colossal Kajal, Maybelline Rebel Bouquet Lipstick for the look. Sorry for the not so clear FOTD, here the weather is not cooperating and I don’t want to use flash light while taking FOTD to make it looks natural. It has Mild pleasant smell. No Whitish or cakey look. 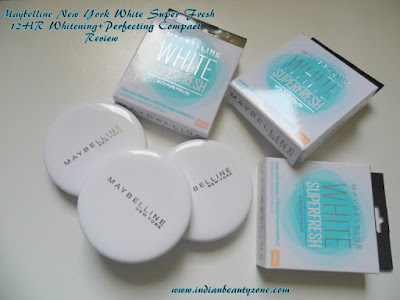 If you have dry skin make sure that you have moisturized your skin well before applying Maybelline New York White Super Fresh 12HR Whitening+Perfecting Compact. If Brand introduce more shades it will be helpful for all girls. Maybelline New York White Super Fresh 12HR Whitening+Perfecting Compact is a good and affordable makeup product for college and office going girls. It is best suitable for daily use and can keep your face fresh for long time by absorbing extra oil from your face. It makes the face bright as the brand claims. It is a must have compact powder with Maybelline Colossal and Maybelline Baby lips in your Handbag. Apply baby lips of your favorite flavor on your lips.